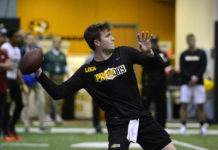 In the NFL Draft, the order in which players are selected is rarely synonymous to an overall “draft board” compiled by various analysts and scouts. 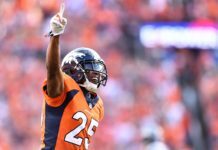 Often the demand of a position in the NFL can push a prospect to be drafted much sooner than a more talented prospect at a different position simply because of demand. In the current state of the NFL, there appears to be a shortage of left tackles. Average or aging players like Russell Okung and Andrew Whitworth cashed in big to teams in desperate need of a blindside protector. Despite the need, the Denver Broncos passed on those free agent options and have a hole to fill at left tackle. A potential option for filling that hole could be athletic tackle Garett Bolles out of Utah. 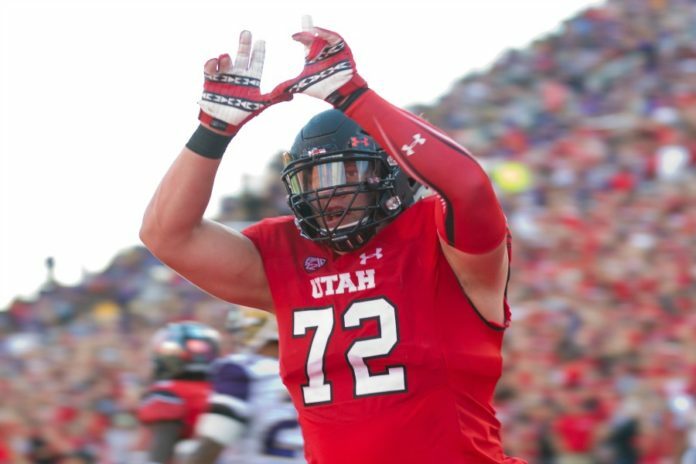 In his only year of playing for Utah, Bolles was solid at left tackle, grading out as the No. 2 overall run blocking left tackle in college football according to Pro Football Focus. In a relatively weaker draft class for offensive linemen, the top two prospects (Bolles and Wisconsin LT Ryan Ramczyk) would probably see themselves taken towards the end of the first round. But with the need for left tackle so great and with so few options for teams available, both are seeing their stocks climb higher and higher. Should a team fall in love with Ramczyk and select him before the Broncos are up at No. 20, Bolles could be the next best option for the Broncos to look at. Bolles makes for an intriguing prospect because of his athletic ability and natural ability to run block. Bolles has the speed and technique to pursue defenders and open up lanes quickly for running backs to follow. With his athletic frame, Bolles has the agility to mirror defenders of any stature. But what scouts and teams love most about Bolles is the mean streak he displays on the field. Bolles plays with an aggressive attitude that is needed to play on the offensive line. 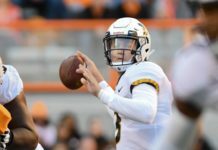 The biggest knock on Bolles that is keeping him from leaping into the top-10 of mock drafts is that though he dominates in the running game, his technique in the passing game is in need of immense improvement. Bolles possesses the athleticism to mirror pass rushers, but his poor footwork and technique often lead to him getting beaten off the edge. Bolles could also do well with adding a few pounds of muscle to his frame, which could help improve his pass blocking. Bolles’ playstyle would make him an ideal prospect for a zone-blocking scheme, where linemen are required to move quicker on their feet as opposed to using brute strength. Unfortunately, Denver no longer runs the zone-blocking scheme it had been for the last two years under Gary Kubiak. Instead, under new offensive coordinator Mike McCoy, the Broncos will opt for a more traditional blocking scheme that would make Ramczyk a better option overall. The Broncos hosted both prospects this past week, so both have clearly garnered the interest of GM John Elway. Bolles has shown that he possesses the athleticism for the LT position, so if Elway is convinced the coaching staff can fine-tune his technique, he could be the tackle Denver needs.